Aron men’s light-brown leather shorts. 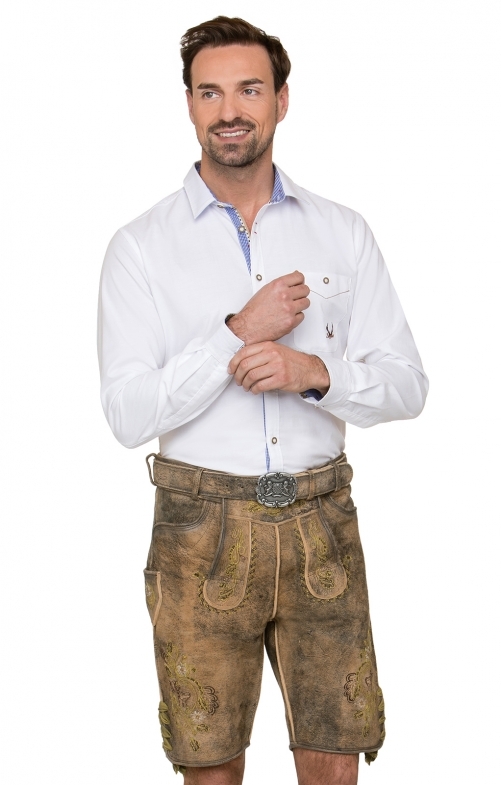 These traditional Bavarian light-brown shorts are designed to grace the knee and boast classic embroidery on the cuffs and bib that has been rendered in yellow. The shorts come complete with a matching leather belt to lend them a modern touch, while the metal belt buckle features a lion-and-shield design.